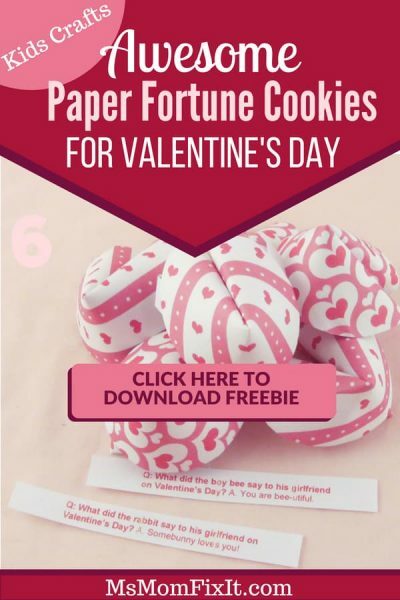 It seems that most schools still embrace Valentine’s Day, and I have found paper fortune cookies to be a big hit! These little Valentine’s are quick and very easy to make. The fortunes are simple holiday jokes. You can create your own very easily in your word processing software or get my free template below. The first step in making fortune cookies is to get some pretty holiday themed paper. Preferably scrap-booking paper since it will be much easier to shape. Card-stock is a bit too thick to easily shape. Once you’ve selected your paper, simply cut out a number of circles. You can use an empty tin can or lid and trace the circle shape. I used a classroom compass from my former scrapbooking supply stash. Once you have your circles, you want to create a small crease in the center of one circle. I did this by gently folding the pretty sides together. You only want a small crease of about 1 inch. You can easily use a fingernail to press down just this center portion. Open your circle back up. Now you want to gently overlap the circle making sure that your crease is perpendicular to the direction in which you are holding the soon-to-be fortune cookie. I did this with the overlap to the back. However, the photo is shot from the back so that you can see the small overlap. Once you have overlapped, insert your desired fortune. Next, gently press in on the original crease you created. This will bring your ends together towards you. I used Zots between my cookie ends to hold the shape. 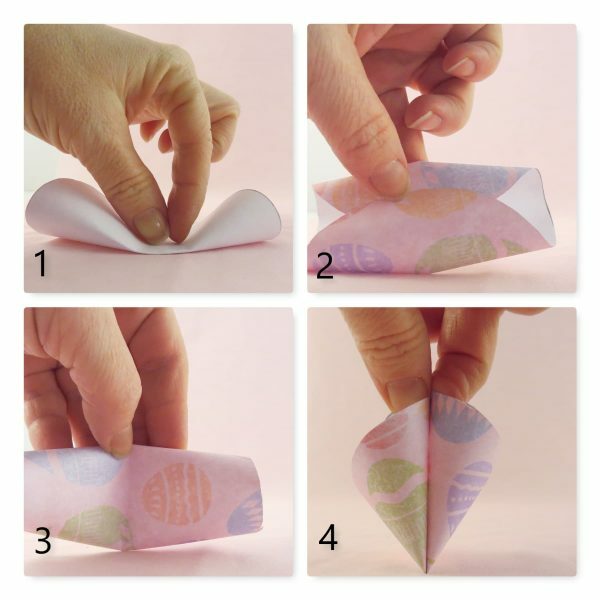 You will get a better paper fortune cookie shape by keeping the adhesive slightly closer to the fold rather than the ends. Now, make a few dozen more so that each child gets a fun Valentine joke. 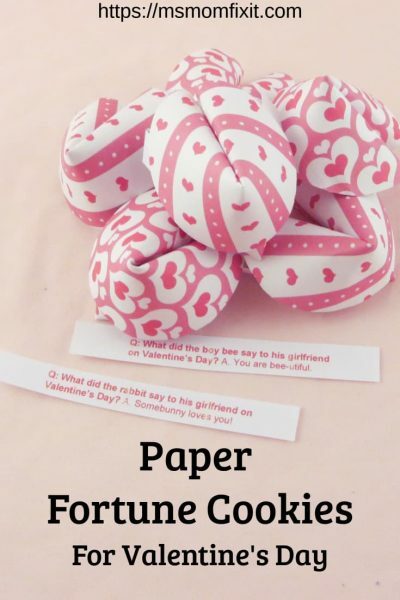 These paper fortune cookies are sure to be a hit as they are unique and humorous. You can do the same for any holiday!